Our Hop Grower’s Alphabet is over on Instagram. You might like to see it, if so click on the floating bottle top on this page it will take you directly there. Alternately you can Google @abushelofhops on Instagram. The relevant posts started on 19th May and went through to 22nd June. 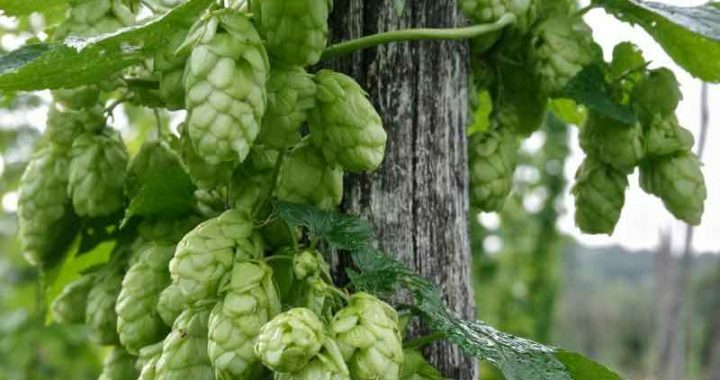 Below is the list of what was included in our Hop Growers A-Z. It was certainly a fun thing to do and hopefully you will enjoy reading through it. A is for Aerial and Alpha Acid. 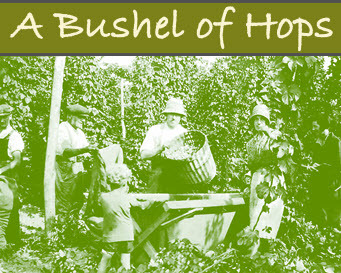 B is for bushel baskets, bines, besoms and beer. D is for dawn, drawing, Dr Peter Darby and Drying the hops naturally. Bit of a mixed bag! E is EKG. East Kent Goldings are one of Britain’s most well known hop varieties and also Enhancing Habitats. F is for Fuggles, fabric, fresh and fragrance. G is for grower, gardens and goad used for stringing. 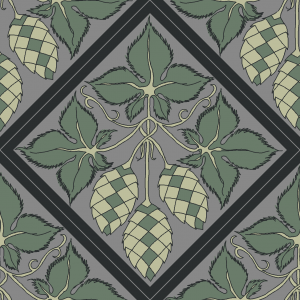 H is for Hops, Handwork and Home brewing. K is for kerb and knapweed. L is for Lifter Cloths. M is for male hop , microbreweries, micro pubs, malt and misty hop picking mornings. N is for November, needle and niche. I is for Inspiration, Instagram and Iron. P is for pockets, poles, press and pokes. R is for return customers, roundel and Rotobank. S is today’s alphabet letter, so many it’s hard to choose. Scuppett, stencils and swap. The others? a sett, shoots, stringing, strap, screw-pegs, and stilts. T for today’s alphabet is for twiddling stick, trailer, and also twiddling, training and tying. T is for hop Toile fabric which featrues a hop twiddler in action. U is for unseeded, underground and unicorn. V is for Varieties, Verandah and Vermin. W is for Wim-Wom, Wellies and Wilderness.